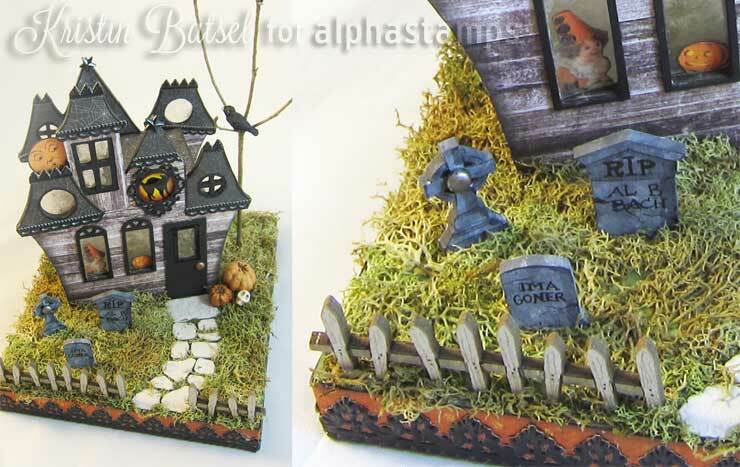 A special set of chipboard trims, made to fit the Tealight Haunted House Kit with Base (these window frames are small enough so that they fit on the (somewhat) crowded facade without running into each other). The rectangular windows are designed to fit the 10x25mm Mini Glass Rectangular Cabochons. And the round window holes fit 14mm and 18mm cabochons. Also shown in one photo with a clock image from the Halloween Pendants Collage Sheet. Includes one set of 3 connected rectangular window trims, and 2 each of trims that fit 14mm and 18mm cabs.